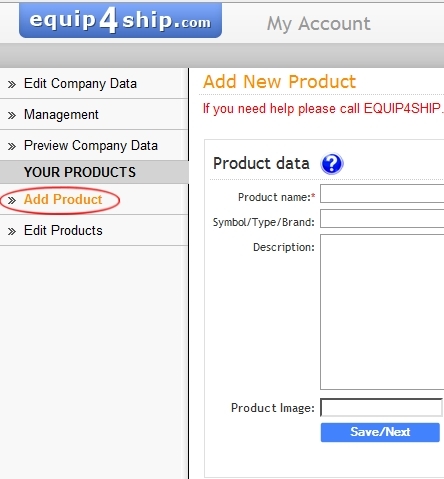 SELLER can add products to the EQUIP4SHIP directory trough the Administration Panel availeble by button from TOP MENU (available only for logged-in users). 2. Fill in the form. 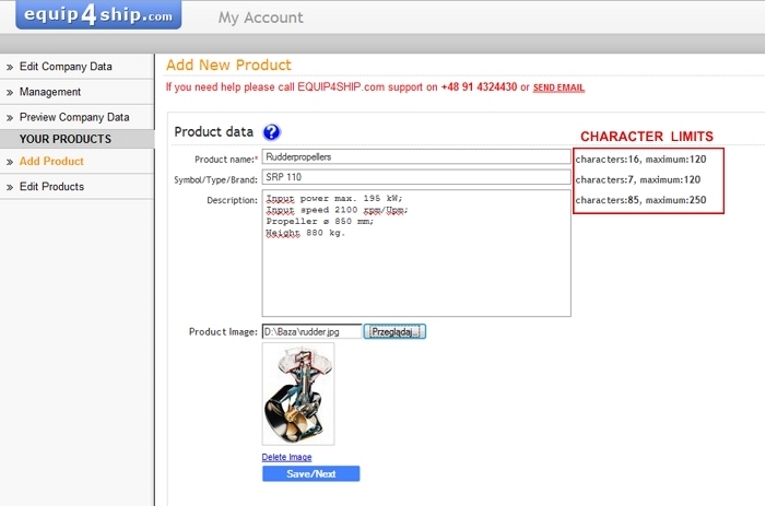 Number of character is limited for particular fields. 4. See the preview of added product.